Louis Carbonel misses the conversion. 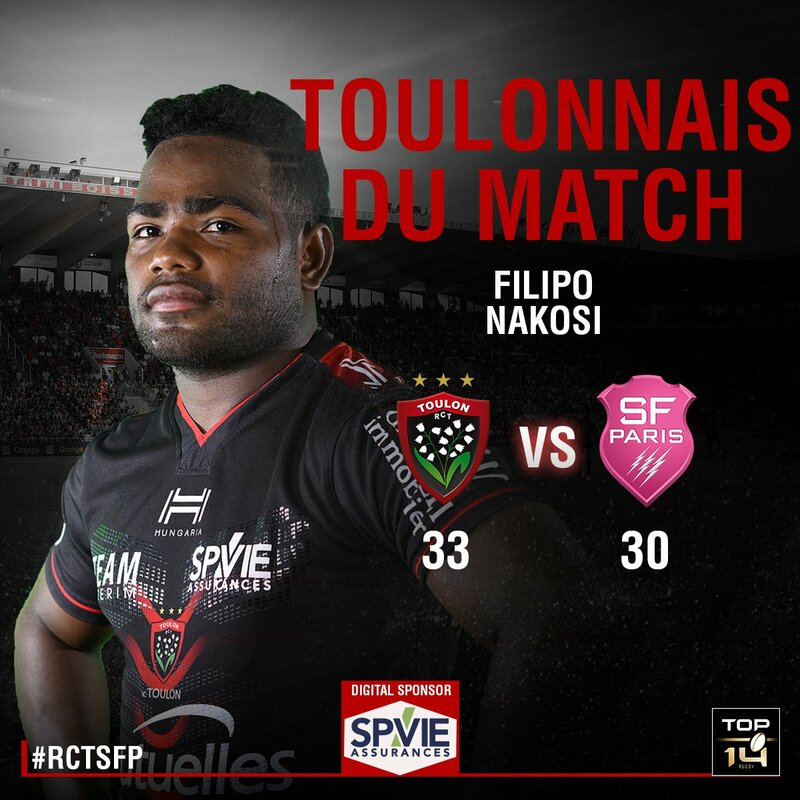 Filipo Nakosi scores a try for Toulon. Conversion attempt from Louis Carbonel has the distance but not the direction. 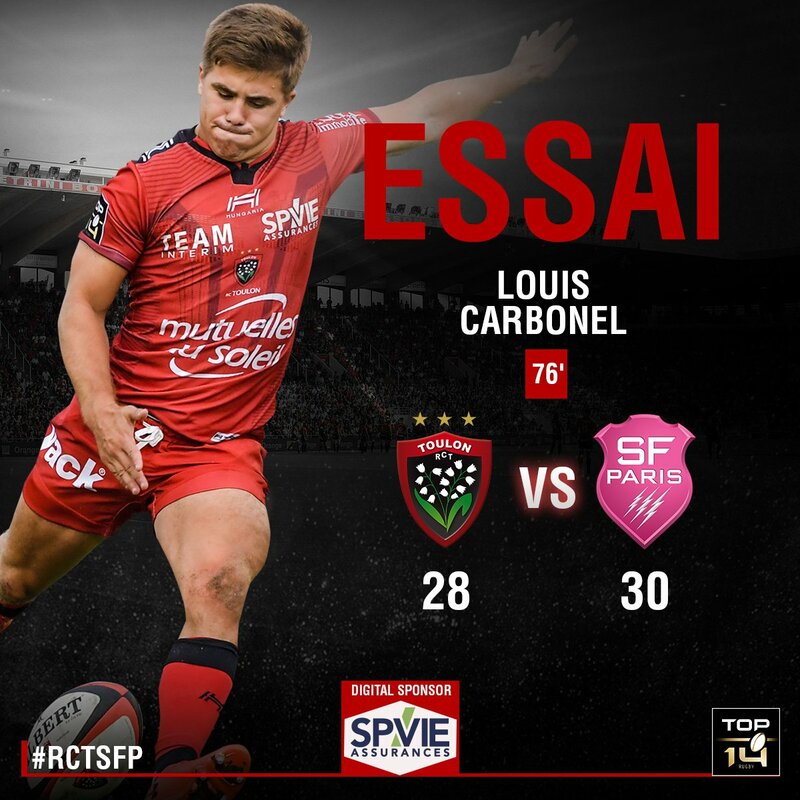 Louis Carbonel scores a try for Toulon. 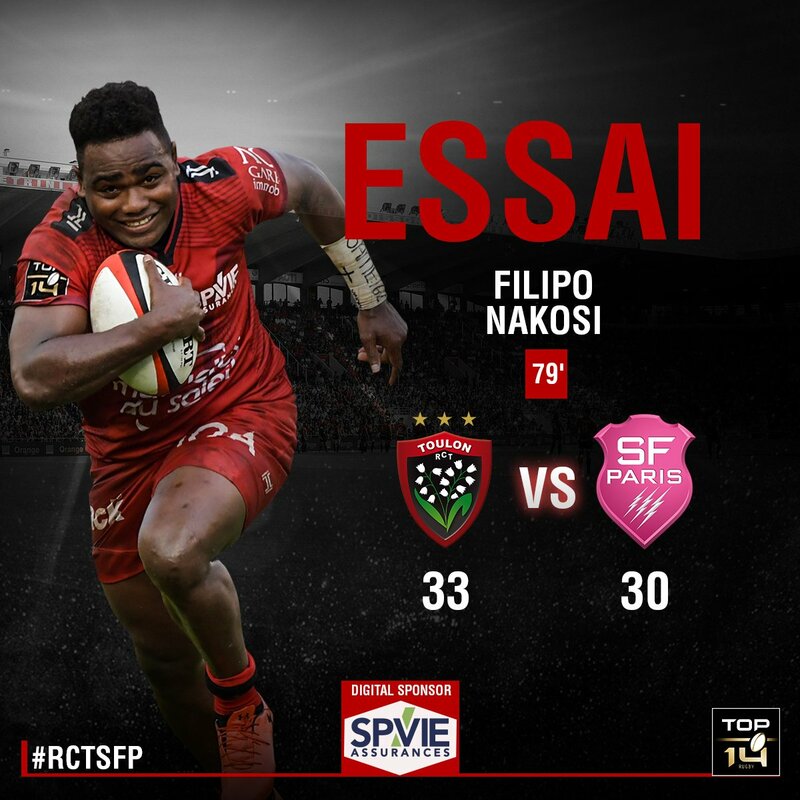 Jules Plisson has kicked a drop goal. Louis Carbonel adds the points for Toulon. Jonathan Danty (Stade Francais) is shown a yellow card. Toulon decide to make a substitution, with Liam Messam getting some game time. 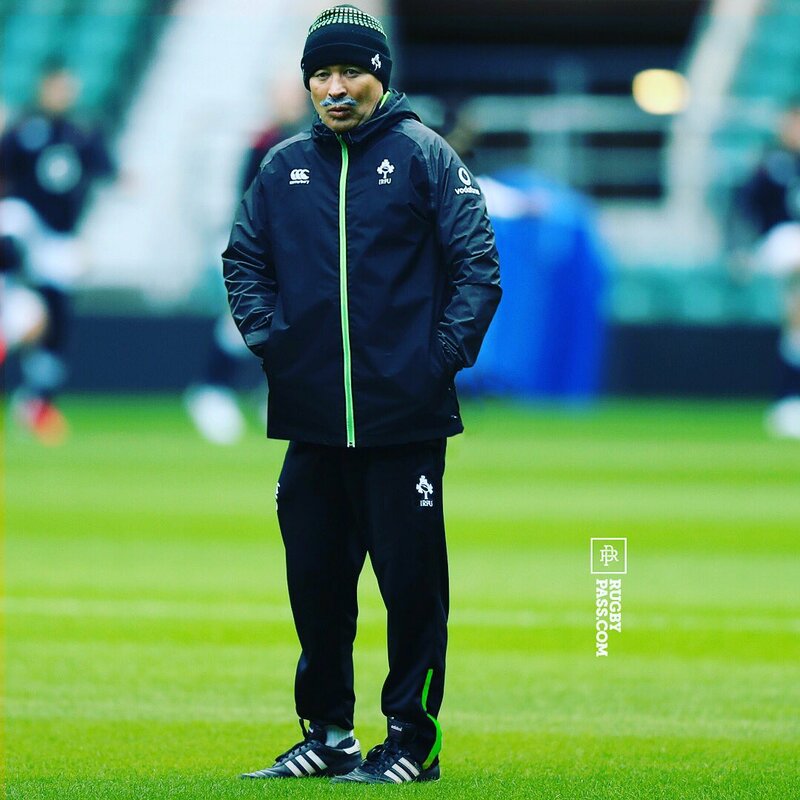 Toulon decide to make a substitution, with Mamuka Gorgodze being replaced. Toulon make a substitution with Louis Carbonel coming on. Toulon make a substitution with Francois Trinh-Duc coming off. Jules Plisson adds the two points for Stade Francais. Toulon sub Simon Moretti comes onto the field. 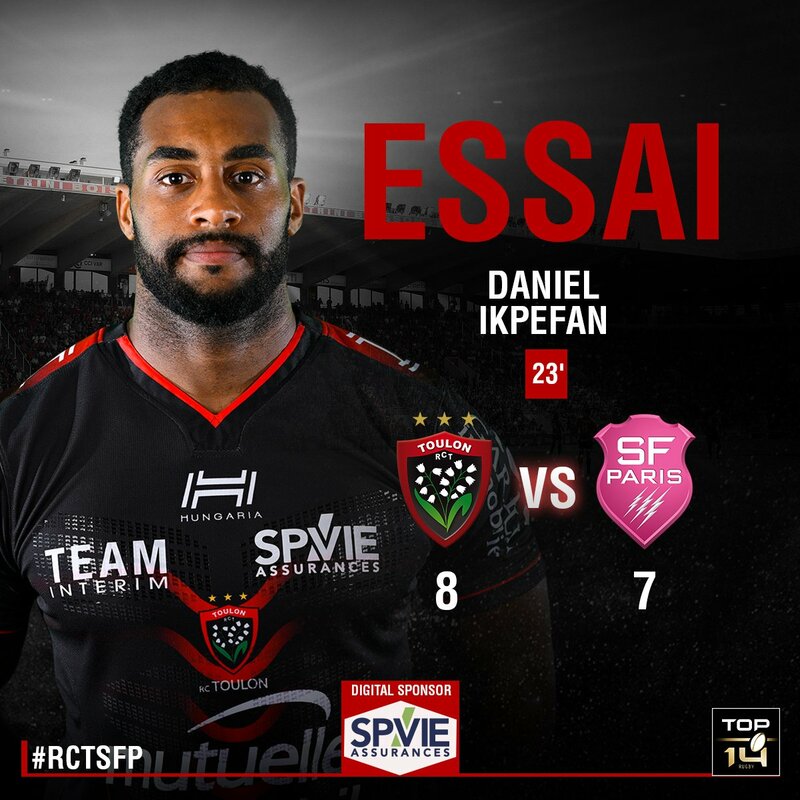 Daniel Ikpefan departs for Toulon. Jules Plisson comes on for Stade Francais. Toulon have a drop goal attempt, just missing, having the distance but not the accuracy. Mamuka Gorgodze (Toulon) is shown a yellow card. Toulon decide to make a substitution, with Marcel Van der Merwe getting some game time. 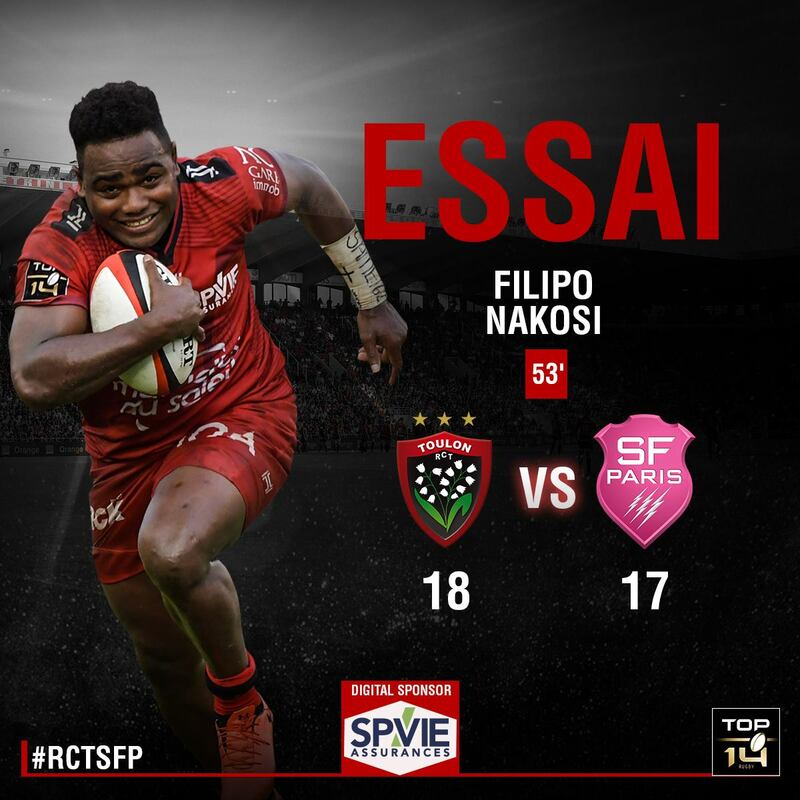 Toulon decide to make a substitution, with Emerick Setiano being replaced. 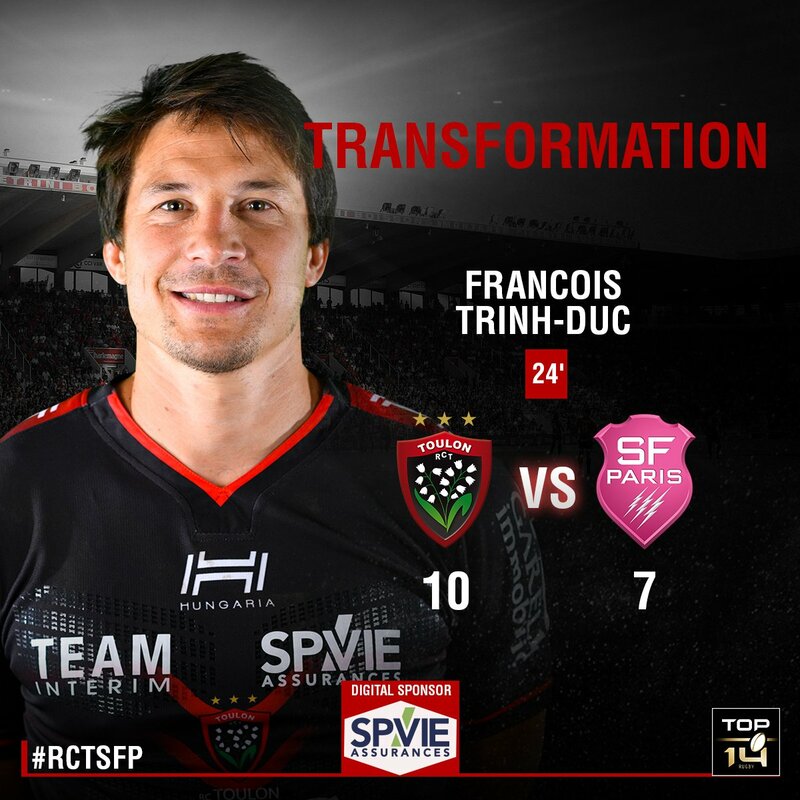 Toulon make a substitution with Bruce Devaux coming on. Stade Francais sub Remy Bonfils comes onto the field. Paul Alo-Emile comes on for Stade Francais. Nicolas Sanchez scores a try for Stade Francais. Drop goal attempt from Francois Trinh-Duc has the distance but not the direction. Penalty goal attempt from Nicolas Sanchez has the distance but not the direction. 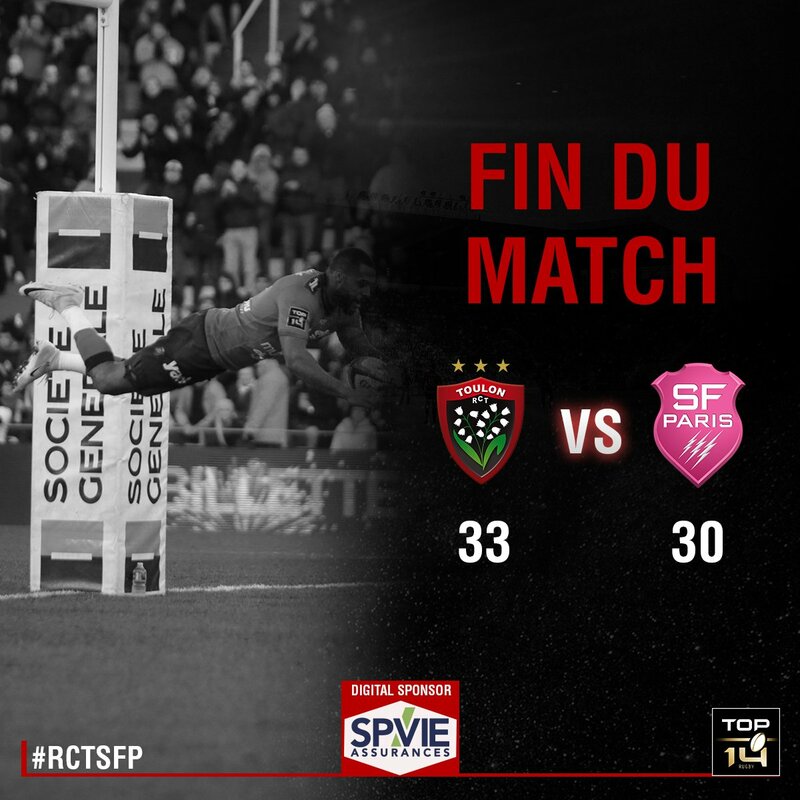 #RCTSFP Elisez le Toulonnais du match pour cette 15ème journée de Top14 face au Stade Français Paris ! 41' C'est reparti à Mayol, Trinh-Duc donne le coup d'envoi du dernier acte. 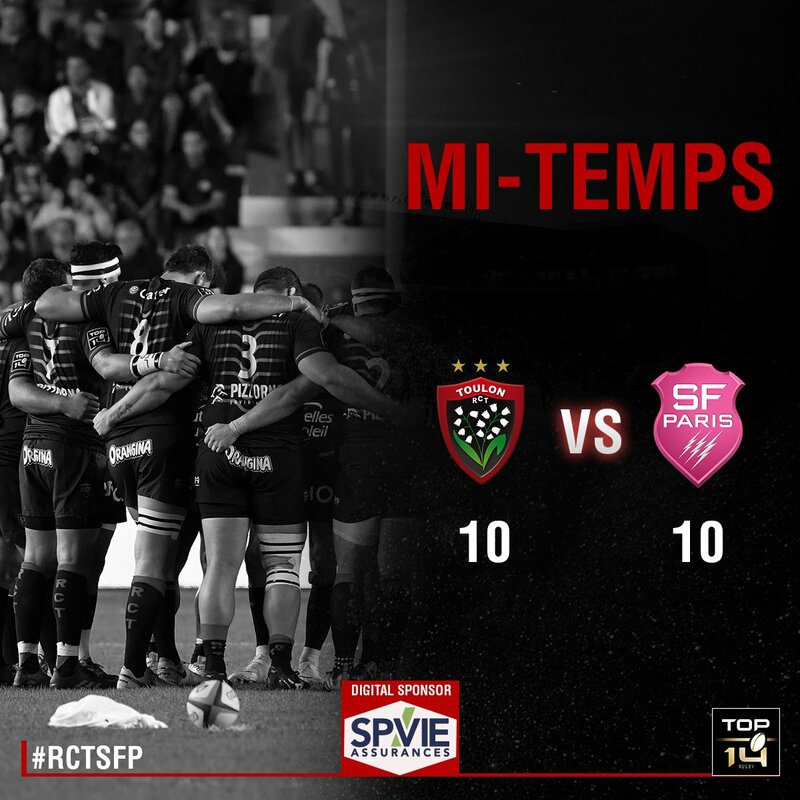 ⌛ Mi-temps à Mayol !